The private group’s coffee-pod company is buying the soda and tea outfit, creating a drinks giant potentially worth over $30 bln. Having bought and then cut costs at Keurig, JAB and its partners can apply themselves to Dr Pepper. It’s reminiscent of the architects of Kraft Heinz. Dr Pepper bottles are seen inside a store in Port Washington, New York May 7, 2008. Privately held Keurig Green Mountain said on Jan. 29 it would buy Dr Pepper Snapple. Dr Pepper shareholders will receive a special dividend of $103.75 per share, or more than $18.7 billion in cash, and retain 13 percent of the company, which will trade as Keurig Dr Pepper. 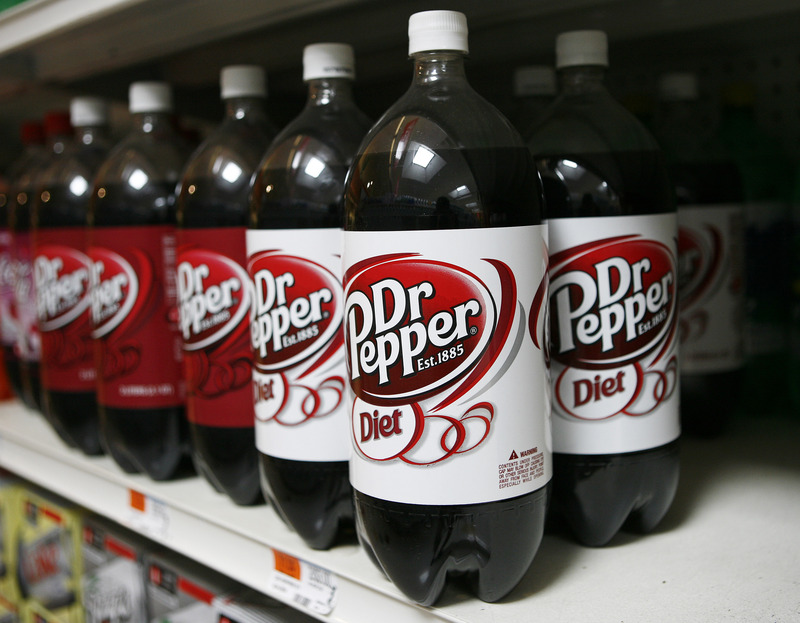 Dr Pepper shares were up more than 25 percent at $119.92 per share at 1008 EST. As part of the deal, JAB, the private holding company that owns Keurig, and partners including BDT Capital, an investment bank run by Byron Trott, will invest $9 billion in equity with the rest of the purchase financed by JPMorgan Chase, Bank of America Merrill Lynch, and Goldman Sachs. Mondelez International, which currently owns a 24 percent stake in Keurig, will hold a 13-14 percent stake in the enlarged company. The combined company will have $16.6 billion of debt at closing, Keurig said. An investor group led by JAB agreed in December 2015 to acquire U.S. single-serve coffee group Keurig for $13.9 billion.